Microsoft just revealed everything related to gaming that’s due with the Creators Update, starting with the rumored Game Mode. Mike Ybarra, Head of Platform Engineering for Xbox, confirmed that Game Mode will be available for both Win32 and UWP games. 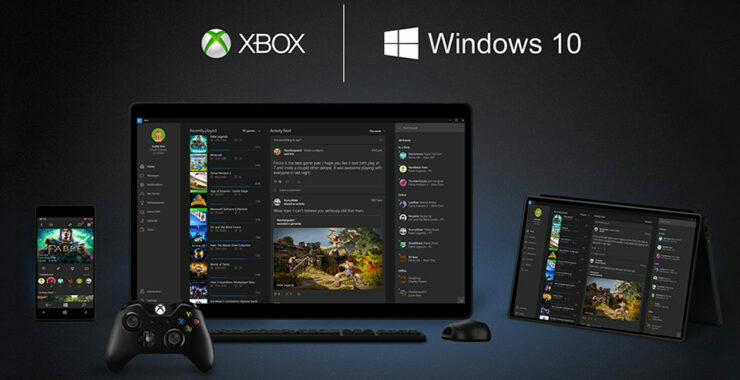 He also said that improvements to the Windows Store, still dreaded by many gamers, are coming with this release and others in the future. According to the blog post, Windows Insiders will start noticing the first visual elements (probably UI related) of Game Mode in an update due this week, while the feature will become fully operational in subsequent builds. Its goal is to increase performance while gaming; Microsoft didn’t provide more details on how it aims to achieve that goal, though they did say the topic will be discussed soon. Meanwhile, Xbox One users will get an update to improve the system’s Guide. Through one press of the Xbox button on your controller, you’ll be able to pull up the newly enhanced Guide as an overlay on the left side of your screen no matter what you’re doing. In addition, we’re rebuilding the most popular multitasking experiences for speed and ease of access. For example, you’ll be able to start recording your GameDVR clips, adjust your recording length, and access your captures directly in the Guide. We’ll also add a new Achievement tracking overlay, Gamerscore Leaderboard, a new Cortana design, and controls for background music, making these features easier to use. That’s just the tip of the iceberg when it comes to Microsoft’s plans for gaming. The company is also planning to improve how you stay connected with Xbox Live friends by, for example, making it easier to connect on other social networks. Additional updates are coming to the Activity Feed, Clubs and Looking for Group (LFG) system. Other previously announced features include the integration of Beam in both Xbox One and Windows 10, allowing easy and quick streaming via Xbox Live. The Arena feature for tournaments is also being improved: starting with World of Tanks and Killer Instinct, players will be able to create their own tournaments, with more games due to support the same feature over time. There are also a few surprises left coming with the Creators Update, according to Microsoft. Stay tuned.